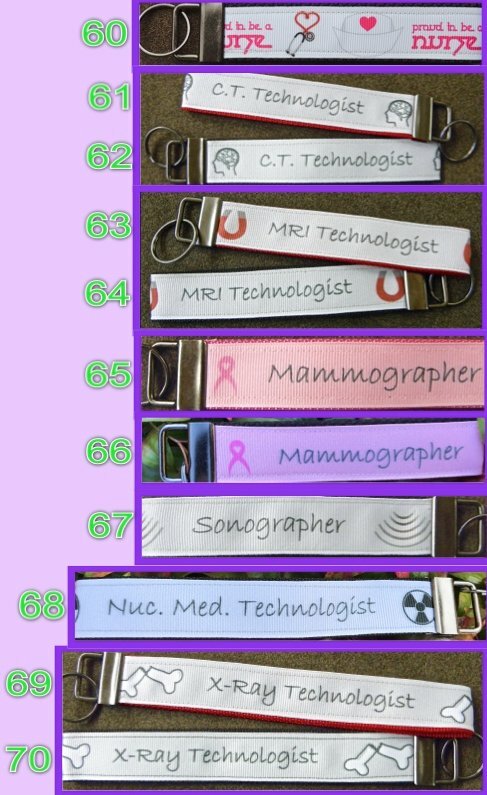 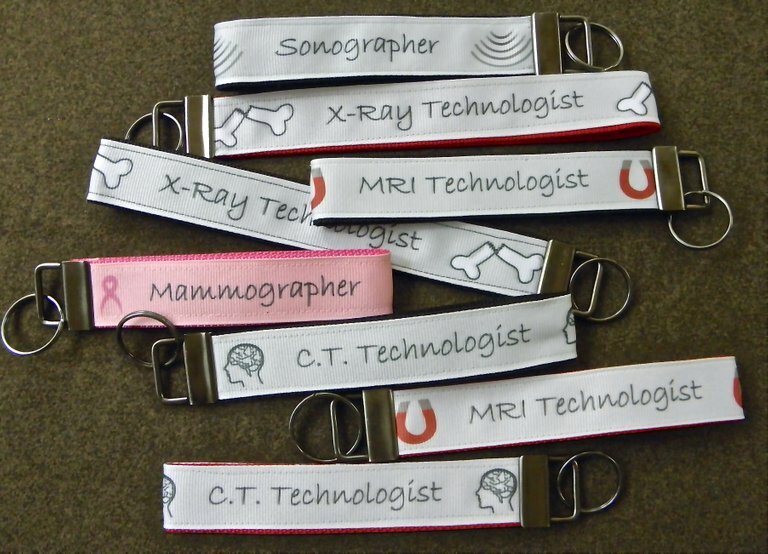 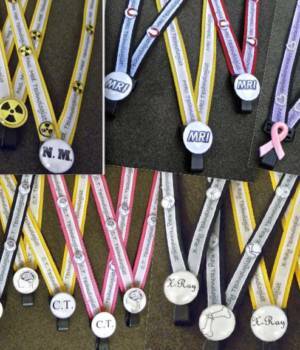 Show your professional pride with these KeyChain FOBs! 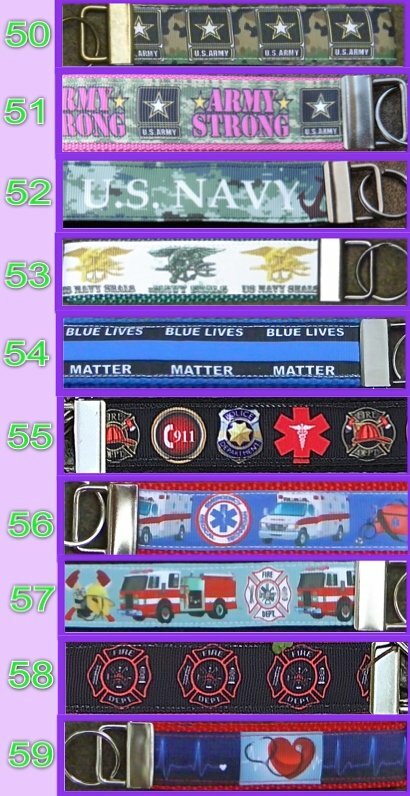 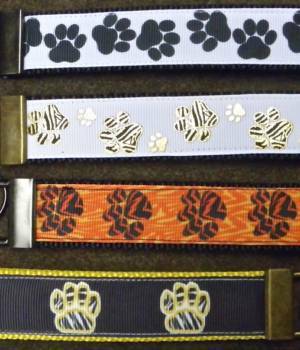 These Wristlet KeyChain FOBs are 1 inch wide and about 5-9 inches long. 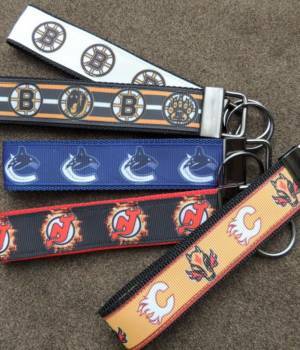 They have either silver or black chrome hardware that includes a split ring that is ready for you to add your keys!